As most people will know, Yorkshire has been chosen as the location for this years Grand Départ for The Tour De France! And as a studio proudly based in the region we were asked to take part in The Art of The Grande Depart — Yorkshire In Yellow, an exhibition organised by MADE NORTH for Sheffield Design week. 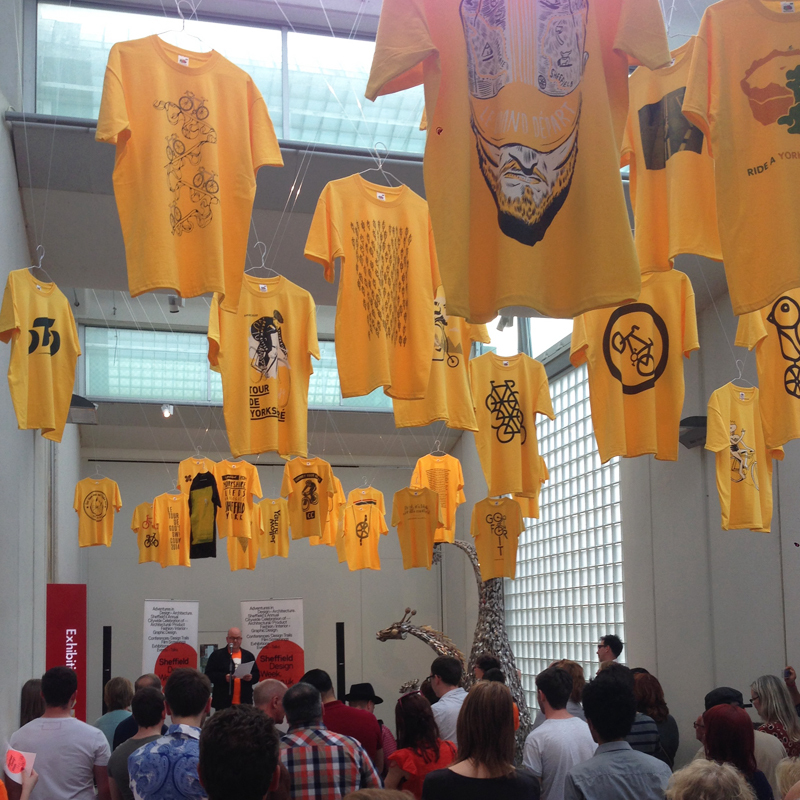 All the chosen designers were asked to celebrate the ‘Maillot Jaune’, the yellow jersey worn by the tour leader and create our own design to be applied to yellow t-shirts for the exhibition. 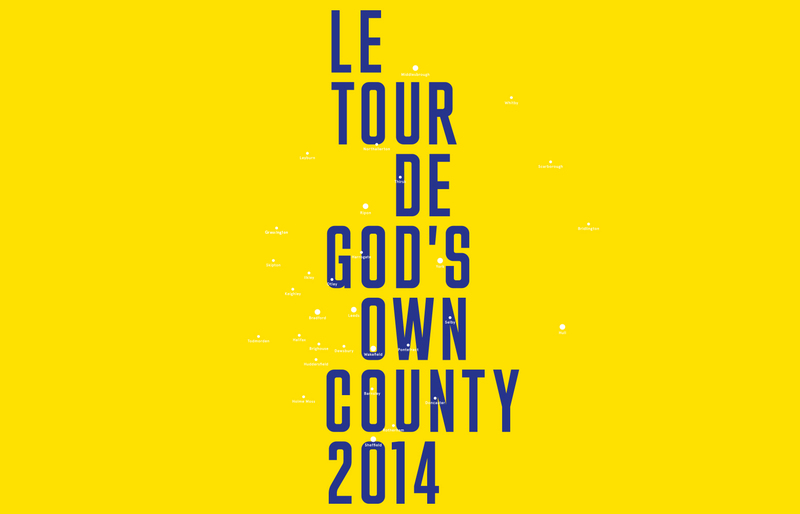 You can see our design above and in full over on our projects page — it’s based on the saying ‘God’s Own County’ and mapping some of the main locations of the region. We were absolutely thrilled to be asked to take part and get to exhibit our work alongside the likes of Wim Crowel, Margaret Calvert, Hey, Nick Deakin and many many more!